The USPS has improved its Priority Mail service without even raising the price of a stamp. If you use the post office frequently, you hardly expect improvements without a postage rate increase. There’s now faster, better Priority Mail service without a single penny added to the postage price. There are many new features and benefits for Priority Mail including: new packaging, better tracking and free insurance. Also new to Priority Mail is faster service — packages may arrive a day earlier. Before, Priority Mail could take two to three days. Now depending on from where and to where you are mailing, your Priority Mail could arrive overnight. In many cases Priority Mail service will now compete with the big overnight delivery companies like FedEx an UPS. And — you won’t be shocked by how much it costs! There is no postage rate increase for Priority Mail Service (yet!) even though packages could arrive as soon as overnight. While packages may arrive early, you won’t have a deliberate choice between overnight, two-day, or three-day delivery. This is always determined by the market you live in and you’ll get an estimate of the service speed when you purchase it. So if you are in a big city, chances are that you will get all the perks you are looking for with none of the punch to your pocketbook. The postage price for Priority Mail will remain flat, even though packages are expected to reach their destination sooner. The stylish new priority mail boxes. The packaging at the Post Office has gotten an update, the tracking is better and there is now automatic insurance for all Priority Mail. For now, you can still use your old Priority Mail boxes but the new, stylish ones are already on the shelf at your local post office branch. 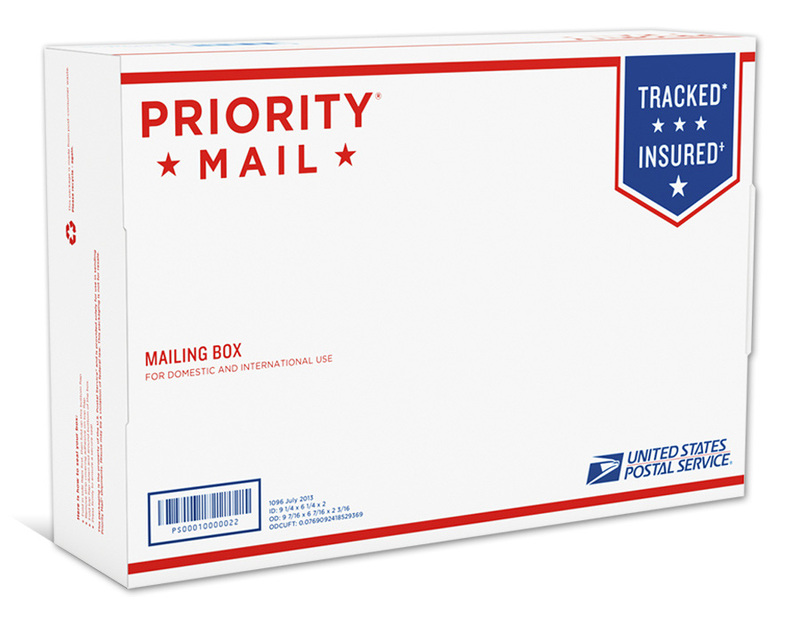 In general, the tracking services for Priority Mail has also improved. New barcodes on the labels make finding your package easier and you will learn your expected delivery date as soon as you place your order. The free insurance depends on which payment method you use. You can get up to $50 of insurance for shipments sent at the Post Office or sent using Commercial Base Pricing. Businesses can get up to one hundred dollars worth of free insurance for shipments sent using Commercial Plus Pricing. (Commercial Base and Commercial Plus services depend on mailing volume.) You can always buy more insurance but this new feature will surely give you peace of mind. The USPS has also rebranded Domestic Express Mail as Priority Mail Express. It’s still the same service but there is new packaging for this service as well. The USPS did a good deal of market research and found that the old packaging and service details were often confusing for customers. All of these changes were made in order to streamline the options for post office customers.With so many shipping services that compete with the USPS, making these changes seems like a smart move. To stay competitive, it will be important for the USPS to continue to listen to its customers and to create valuable services in the future. Don’t be surprised if the prices go up, though. It is well known that the USPS is struggling and it will be a big win for their growth if people are satisfied with the changes. The best advice is to check out the new Priority Mail while the old pricing is still in effect.